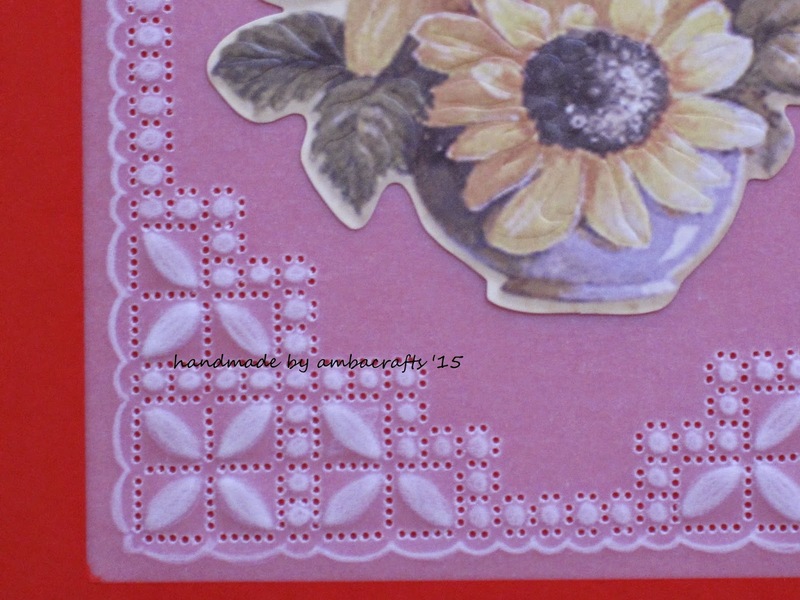 I saw this design in a Parchment Craft mag and thought "I can do that border!" So many hours later and lots of held breath and this is how it turned out. 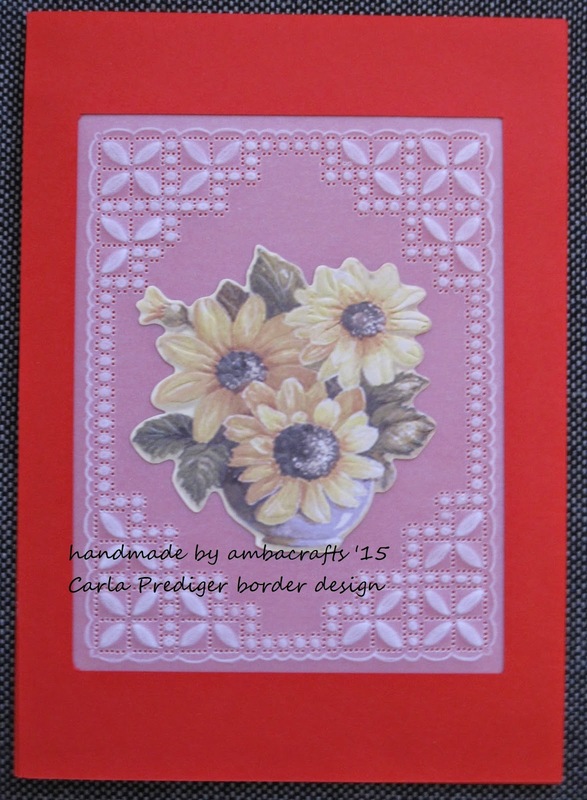 Border designed by Carla Prediger. I used a bold square grid. Die cut peel off sunflower mounted in the middle. Cut my own red frame. Thank you for looking and for any comments you care to leave. Alison it is beautiful. I look at that and think.... one slip of the knife...... It must take a very steady hand and heck of a lot of patience. Stunning work Alison, so beautiful. This is so beautiful Alison. You have lots of patience and also a lot of talent. Morning Alison, wow you are certainly talented, love the borders, and fabulous flowers.